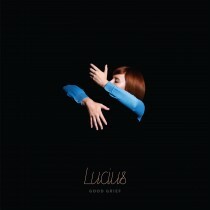 Lucius, dubbed by Rolling Stone as “the best band you may not have heard yet,” ­are a five-piece indie-pop band from Brooklyn. The quintet pairs the synchronous and powerful vocals of Jess Wolfe and Holly Laessig, who also play synth and keyboards, with guitars and percussion from Dan Molad, Peter Lalish and Andrew Burri. Together, they make music that evokes classic girl-group pop and iconic rock ’n’ roll with a modern twist, that belongs solely to Lucius. 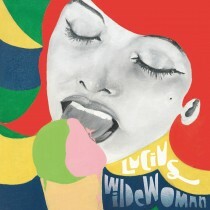 The band’s 2013 debut LP WILDEWOMAN (Mom + Pop) is lauded by The New York Times as “an art school take on girl group soul,” admired by Paste for its “strong song structures, substantive lyrics and precise playing” and included in NPR’s top 50 albums of 2013. Landing on numerous critics’ best-of lists is only the beginning of a pivotal year for the band. 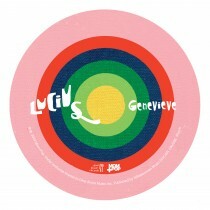 Lucius has spent most of 2014 on headlining US and European tours, performing at a variety of the country’s largest summer festivals (Governor’s Ball, Lollapallooza, ACL, ect.) and playing in support of Sara Bareilles, City and Colour, The Head and The Heart and Andrew Bird. Wolfe and Laessig also make appearances via backing vocals for Wilco frontman Jeff Tweedy’s latest release SUKIERAE and on ALPHAVILLE, the debut LP from The Rentals. But none of it happened overnight. In 2007, Wolfe and Laessig moved to Brooklyn’s Ditmas Park, taking up residence at the Bromley House, which had, unbeknownst to them at the time, been a music school and recording studio for more than 60 years prior. Wolfe and Laessig established an open door policy for the strong local community of musicians. First came Molad, a drummer, producer and engineer whom Lucius sought out for some early recording sessions (he also coproduced WILDEWOMAN). He introduced them to Lalish, his former bandmate in the indie-pop trio Elizabeth and the Catapult. Later, Molad met Burri while working on a different recording project, rounding out the Lucius family. 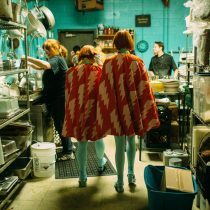 At the same time, Lucius was developing the memorable visual look the band employs onstage — “dressing the sound,” they call it. Taking inspiration from strong visual artists, and citing Bjork, Bowie, Warhol and Prince as style icons, the women are bedecked in a seemingly endless array of identical head-to-toe ensembles, complimented by the men’s sharp, tailored style. Lucius’ steady ascent shows no signs of retreat. 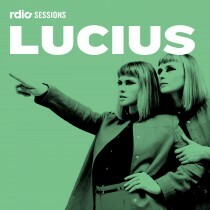 The rest of 2014 brings Lucius full circle: amid the anniversary of their first album, a European tour and a handful of headlining US dates, the band will return to the studio to begin work on their second album.